Last season, literally everything went wrong for he twins and yet they still won 78 games. If you really think about it, the Twins didn’t have an absurdly bad year last year like they should have based on what happened. Here is everything that went wrong for the Twins. •Ervin Santana missed basically the whole year. •Jason Castro tore his meniscus. •Buxton suffered from broken foot and migraines all season resulting in Jake Cave becoming starter. •Jorge Polanco suspended for half the year. •Lynn, Dozier, Morrison, Odorizzi and Reed all had their worst seasons. 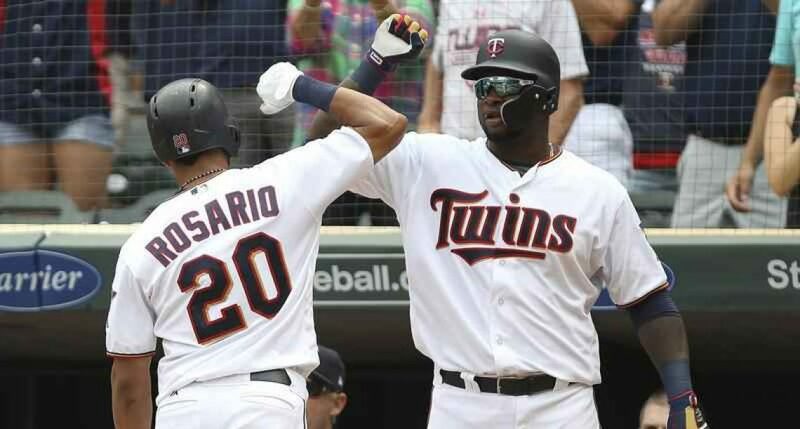 •Miguel Sano struggled with conditioning due to a bad offseason. •Trevor May only played September. •Dozier, Escobar, Lynn, Duke and Rodney trades away. •Michael Pineda missed the whole year. In 2019, the Twins will be coming back with a much better lineup, a better starting rotation, a much improved bullpen. I actually wrote about the lineup being a powerhouse, as well as the bullpen being a top 10 squad. -Read about what I said the bullpen could look like by clicking right here. I truly expect the bullpen to be solid this year with Taylor Rogers, Blake Parker, Trevor May, Addison Reed and Trevor Hildenberger. They are all at least somewhat experienced, and each one of them has seen their fair amount of success. Now to why I think the Twins will win the central. The American League Central Division is the worst in all of baseball with three rebuilding teams (Royals, White Sox, Tigers) one team who is very close to being great (Twins) and then the great team in the Indians. Royals: The Kansas City Royals have a team that lost 104 games a season ago and they have done nothing impactful to push that away from another 90+ loss season. They have Alex Gordon, a .245 hitter in 2018 as their number three hitter. Their bets player is probably second basemen Whit Merrifield who recently signed a 4 year/$16 million extension. He hit .304 with 45 SB in 2018. Their rotation only has one player who threw over 150 innings in 2018 (Danny Duffy, 152 inn.) and its mostly full of unproven younger guys. I think the Royals lose 92-95 games this season. Tigers: The Tigers are another team a lot like the Royals that will be rebuilding this season. They are a bit of an older team with future hall of famed Miguel Cabrera leading the lineup. Their is also the outfielder Nick Castellanos who has been rumored in trades. The rotation is not what it one was, and it is now led by Micheal Fuller and Matt Boyd instead of Verlander and Scherzer. I think it’s likely that Detroit loses close to 100 games again this season. White Sox: This is a team that is much closer than both the Tigers and Royals. The Sox have rebuilt well with dangerous players such as Jose Abreu, Tim Anderson and possibly Yoan Moncada. The pitching staff is where they. Will struggle the most becaus they are led by Carlos Rodon and Ivan Nova. They have some up and coming talent like SP Lucas Giolitto and OF Eloy Jimenez. Those will be two key players in leading the white Sox for the next few years. The white Sox are not currently a very dangerous team, but they are still one of the front runners for the superstar Manny Machado. I think the Sox finish with a 78-84 record. Indians: Alright now this is where most people will doubt what I’m writing. For the last three seasons, Cleveland has won 90+ games and won the division. They were likely hoping to acquire some pieces to win that World Series, but this offseason hasn’t gone as well as they probably would’ve hoped. They have lost their two best bullpen assets in Cody Allen and Andrew Miller. They also have lost the impact bats of Yonder Alonso, Josh Donaldson, Edwin Encarnacion and Michael Brantley. The starting rotation is still the best in the Central, but with all the trade rumors surrounding Corey Kluber and Trevor Bauer, I cant imagine it will be the most upbeat locker room. Their best players Lindor and Ramirez has career years that are unlikely to be repeated and they have no outfield. Twins: Even though most fans refuse to see it, the Twins have quietly had the best offseason in the division. They have added four impact bats in Cruz, Cron, Gonzalez and Schoop as well as a nice relief asset in Blake Parker. Those aren’t even the money important parts of the offseason. The most impactful parts of the offseason have come from the way Byron Buxton and Miguel Sano have gotten into baseball shape much better than they ever have. The newly hired Rocco Baldelli connects really well with the young players and will provide an atmosphere that all the players want to play in. The lineup, rotation and bullpen all have the potential to be really good if everything works out. I expect some fireworks. I will admit, my predictions rely on a lot of hope and luck for the Twins. I think they have the depth, the attitude and the coaching to do it, now it’s just up to the players to determine whether it happens or not. What do you think? I’ll be posting a poll on my Twitter (@EverydayTwins) so go vote and retweet s we can see what everyone thinks. Thank you for reading my thoughts on the Twins winning the Central. I would love to do more interactive articles with fans, so go visit my Twitter. (@EverydayTwins). If you enjoyed please leave a like and share with your friends. If you disagree or have any questions please leave a comment or ask me on Twitter.